We offer courses in Product Management, Coding, Data Analytics, Digital Marketing, UX Design and Product Leadership, all optimized for managers. All of our instructors are highly experienced product professionals working at top tech companies, such as Facebook, Google or Airbnb. Our courses start from just $3,999 and we provide personalized payment plans and bundle options to make your learning affordable. Product School is currently available through our online campus and at our 16 locations throughout the USA, UK, and Canada. 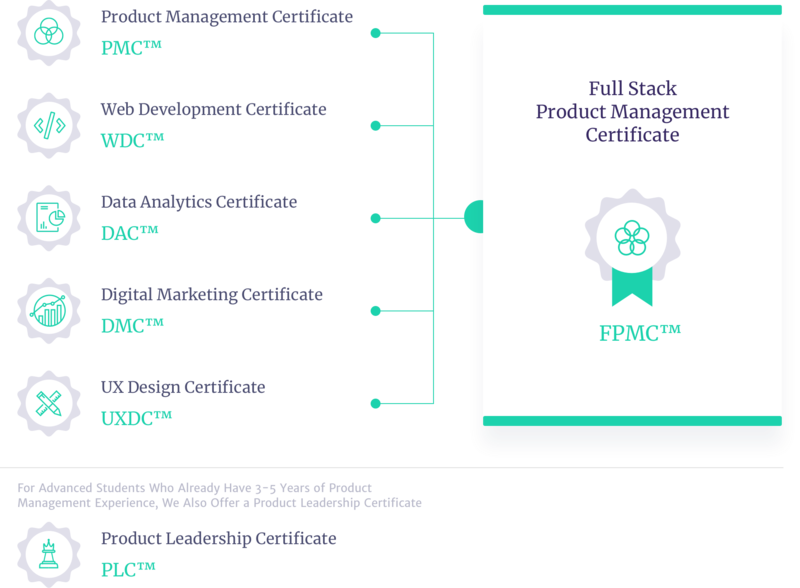 Founded in 2014, Product School provides product management, coding, data, digital marketing, UX design and product leadership training to professionals across the U.S., Canada, the UK and Online. With 16 campuses worldwide, you’ll be taught by instructors who are successful product managers with real-world experience working at renowned tech companies and other technology startups.